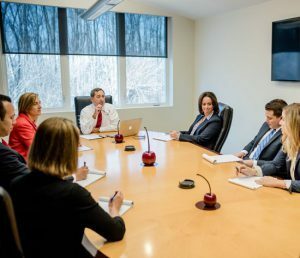 The Peskind Law Firm has some of the most experienced family law attorneys in Wheaton with over 35 years of cumulative experience. We provide proactive, organized, and supportive family law services to people in these trying times. With family laws constantly changing, you need attorneys who are not only current with these changes, but are looking to redefine the approach to family law and we do just that at the Peskind Law Firm. If you are in need of family law attorneys in Wheaton or if you have any questions about our family and divorce law services, call us today at 630-444-0701. You can also fill out the contact form on this page or email us at jenna@peskindlaw.com and we will respond shortly. Here at the Peskind Law Firm, we take a different approach when it comes to family and divorce laws. We provide assistance in other aspects that many law firms don’t in order to achieve the best possible outcome. We understand that these are difficult times for you and that focusing on other matters may not be the most pertinent subjects on your mind. That is why we have a Certified Divorce Coach on our team to help you set realistic goals during and after your case. Additionally we have an in-house accountant to assist you in keeping your finances in order and to help with future financial planning. We are redefining family law by encompassing other aspects in your case outside of just litigation. When we take you on as a client, we don’t take a blind approach, but we develop strategies based on your immediate interests and your long term goals in order to provide well rounded family law services. When you enlist the Peskind Law Firm for family law services, you get an entire team to support you. We work hard and diligently to achieve the best possible outcome for you and to help prepare you for your life after your case. For more information on our family law services or if you are in need of family law attorneys in Wheaton, call us today at 630-444-0701. Or you can fill out the contact form on this page and one of our associates will get back to you shortly.